Janette Sadik-Khan: We've put down 250 miles of on-street bike lanes in the last three years. We've put down thousands of new bike racks to make it friendlier for people to get around by bike. And the city just announced it's preparing to install a bike share program with 10,000 bicycles. In some communities, the commissioner is revered. Carol Coletta, president of CEOs for Cities, calls her a goddess. Carol Coletta: She has made these transformations in New York with speed that would be breathtaking for a small start-up, to say nothing of a bureaucracy like a city of this size. But for some, the changes feel like a punch in the gut. One of those people is Marty Markowitz, the borough president of Brooklyn. Markowitz thinks a two-way bike lane along Prospect Park goes too far, because it takes space away from cars and gives it to bikes. Here's how he describes the commissioner. Marty Markowitz: She is a zealot. She wants to make it hard for those that choose to own their automobiles. She wants to make it difficult, their life difficult. I really believe that. For Markowitz, it's about defending mom-and-pop shops, and middle-class workers who use their cars to get to work. But supporters have shouted back. And, it turns out, one survey shows three-quarters of Brooklynites support that bike lane. For some New York businessmen, being able to attract international companies is key. Janno Lieber is president of World Trade Center Properties. He's overseeing the construction of 10 million square feet of office space to replace the Twin Towers. He says being able to bike to work is important to his tenants. Janno Lieber: It also makes us more familiar and attractive to some of the European and international companies because otherwise people are going to go to lower cost locations. Lieber says in New York, bike lanes have cache with the creative class. Lieber: Well, because, the kind of employees who bike, those are the kinds of workers that companies really want to have, and they want to hold on to. And Lieber says, that's who will build New York's economy. Cyclists who commute to Tysons look forward to Fairfax bike plan is the title of a Washington Post article featuring Chris French, FABB member, who regularly cycles from home in Oakton to his job in Tysons. On a crisp, gray morning, Chris French maneuvered a bicycle through Vienna's neighborhood streets on his way to work in Tysons Corner. A narrow curve on Old Courthouse Road was the toughest spot, and some frustrated motorists squeezed past him. But a school bus driver drove patiently behind French, who was cycling about 14 miles per hour from his home in Oakton. The article goes one to discuss the ongoing Tysons Bicycle Master Plan that is scheduled to be completed in February. The Tysons portion is the first phase in an effort to create a biking infrastructure across the county. The plan is scheduled to be released in February and will require approval from the Board of Supervisors. Those who bike to work in Tysons say the plan is a welcome relief. Right now, "it's a challenge, and a lot of them have to be pretty confident road cyclists to get to work," said Jeffrey Hermann, project manager for the county's bicycle master plan. "We want to expand beyond those people and make it sort of an everyday, every person" thing, he said. bikes 14.7 miles each way from her Dupont Circle home to work at PricewaterhouseCoopers. It's a mostly smooth commute that takes her through Rock Creek Park, the Custis Trail, the Washington and Old Dominion Trail and to a wide sidewalk on Gallows Road. But the last stretch gets tricky. Schachter loops around Tysons Corner Center and then gets on the Westpark Bridge, which is being widened as part of the HOT lanes project. There she must avoid dips in the pavement. A vehicle's tire "probably wouldn't even feel it," she said, "but if I hit that thing I would be dead!" Despite the challenges, several Tysons employers encourage biking to work, sowing the seeds for a future where cyclists will be more common. Booze Allen Hamilton, PricewaterhouseCoopers, Freddie Mac and Science Applications International Corp., where French works, all have bike clubs. Booze Allen recently installed lockers next to its bike racks so cyclists can store their gear. Schachter said her office has showers and lockers, as well as pumps, tire-repair kits and bike racks. She works earlier hours to avoid riding in the dark. 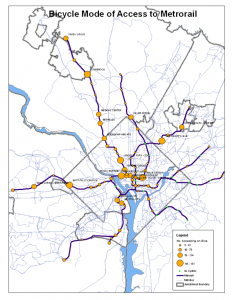 It takes Schachter about 70 minutes to get to work, less time than using Metro, which would take two trains and a bus. As usual the posted comments have almost nothing to do with the content of the article. We just returned from a holiday visit to Nashville, TN. While we enjoy visiting Music City, it's not known as a very bicycle-friendly place. The street network is similar to ours here in Fairfax County, with many unconnected cul-de-sac developments that force cyclists onto major roads. So we were surprised when we noticed new bike lanes on a major commuter road, Hillsboro Pike, that extends from the suburbs of Brentwood into the city. Nashville is changing. A countywide bicycle plan has been adopted, new bike lanes are being striped, and new greenway trails wander along our waterways. Together, these projects are making cycling a safer, more practical choice for transportation and recreation in Nashville. A bike-friendly community promotes healthy lifestyles, reduces traffic congestion, provides better mobility for children and those who don’t drive, helps clean the air, and improves our sense of community. 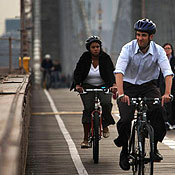 Bicycling is also one of the healthiest and least expensive ways to get from place to place. One reason for this change in attitudes in Nashville is a realization that building more and wider roads isn't the only solution to solving Nashville's traffic congestion. According to a new report from CEOs for Cities, Driven Apart, Nashville drivers spend more time stuck in traffic than anywhere else in the U.S. Adding more and more roadways to the landscape in Williamson County is not the way to deal with growth, according to Michael Skipper, executive director of the Metropolitan Planning Organization. Logistically, new highways simply won't be able to meet all of the county's growing transportation needs, he said, and aesthetically the pavement eats into the rural setting so valued by residents. The answer, Skipper suggested, is an emphasis on developing mass transit options while increasing the number of sidewalks and bicycle lanes to help people leave their cars at home more often. "We spend more time in our automobiles than any other region in the nation," Skipper said during a Nov. 30 forum during which his agency solicited feedback on a 25-year transportation plan. Being part of a bicycle advocacy group, arguing for better conditions for bicyclists on the road, I feel obligated to obey the rules. We all should but we don't always stop for stop signs and red lights, especially when riding in a group. It's safer, and it's the law that cyclists obey all traffic regulations. WABA is asking cyclists to resolve in the coming year to ride responsibly. If you do so already, then it's an easy resolution. Ideally all road users would sign the petition to use our roadways responsibly. Most of us are both cyclists and motorists and we all need to act responsibly regardless of our vehicle. See the WABA blog entry. Bikes for the World has a simple mission: Collect thousands of used bicycles, and donate them to non-profit community programs in Africa and Central America to enable the poor to hold jobs, attend school, and obtain health services. Its current site, near Tysons Corner, has served for six years and seen the organization become the largest program of this type in the United States. Since the program's inception, Bikes for the World has collected 50,000 bikes valued at over $2 million. In 2010 alone, the network—which includes more than 100 faith communities, schools, scout troops, civic clubs, and businesses— donated 9,000 bikes locally and abroad. Now, with the sale and pending re-development of the current site, Bikes for the World must relocate to a new donated or low-cost space to continue its efforts and lay the foundation for future expansion. Don't assume they’re all hostile to our cause. What makes you think cycling isn't conservative? Of course it is! It conserves energy, it's individualistic, and it's anything but new-fangled. So they should be receptive. So don't let campaign posturing turn you away-all elected representatives have cyclists in their districts, and all of them would probably like to claim they brought dollars to their district or state. Cycling is an exercise (literally) of a fundamental freedom – freedom of movement. Although not explicitly defined in the Constitution, it is derived from the "privileges and immunities clause" as interpreted by the Supreme Court in United States v. Wheeler, 254 U.S. 281 (1920). (You were warned: I am in fact a lawyer). This is why you don't need a passport to enter New Jersey. Cycling is efficient. True Conservatives love efficiency! It has been said that a cyclist is more efficient than a bird in flight. Cycling has a glorious history of entrepreneurism! Think: Wright Brothers, Schwinn, and Trek. Lots of senators and representatives probably had paper routes. America invented the mountain bike, BMX and freestyle. A study in one community showed that properties located near bike paths increased in value by 11% more than similar properties not near such facilities. The Outdoor Industry Foundation estimates that the bicycling industry supports 1.1 million jobs and generates $17.7 billion in tax revenue each year. A 3% reduction in traffic can result in a 30% reduction in traffic congestion. Cycling reduces heart disease and other costly health problems – blunting the need for expensive health care – regardless of who pays for it. Audience: What ideas do you have for how we can promote and encourage active transportation? A: The simplest being walking. G: I guess if you live close enough to your workplace. A: Most trips are less than 3 miles. G: You mean the average commute? Really? A: Most trips be they commuting, to get to the store, to get kids to soccer games are less than 3 miles. G: You know what I think the biggest problem is? How busy are lives are. I would love to walk but you know what, I don't have time. With your busy lives and all of the demands you don't factor in that half an hour it takes you to walk and you factor in the 3 or 4 minute drive it takes to get there I think that's the biggest inhibitor. I tell you I know there have been some things done between our Secretary of Transportation and Norfolk Southern and some of the bike trails that have been created. Does anybody have a better answer? Secretary Connaughton's not here. G: What would be your ideas; what do you think we ought to do? A: There are many much cheaper, much simpler ways than that such as bike lanes on roadways, some pathways are important, replacing parking lanes with bike lanes, and making bike parking easier than car parking, reducing speed limits on roads is an important one. G: Why don't we look at that. I'm doing my part, I actually walk to work now. Don't just think you have just one shot in the year [to provide feedback]. If you like what I'm doing or don't like what I'm doing, please tell me. It's a common misconception that most of our trips involve commuting to work. Commuting to work comprises only about 20% of all trips. The rest are for family/personal business (30%), social and recreational (30%), and to school/church (5%). Most of these trips are less than 5 miles and many are less than 3 miles. The Governor is going to look into promoting and encouraging more active transportation. Why not let him know that you think it's a great idea. I encourage you to promote better active transportation in Virginia. There are many solutions to our transportation problems, and active transportation is a very low cost way to encourage more people get out of their cars and using bicycles and walking to nearby destinations. As you learned recently, most of our trips do not involve commuting to work, and most are shorter than 5 miles. Rather than taking 3 or 4 minutes to drive, in our area these trips often take much longer. Using a bicycle is a very a viable option in many areas and would be an even better option if we had better on-road bike facilities. While trails are useful, we have a connected road network that exists; we just need to make it better for bicyclists. See a video clip form the meeting. From the Virginia Cycling Association discussion on Google groups. Transportation experts said the gains in public transit were in part the result of higher gas prices but also reflected the influx of younger residents who refuse to spend long hours in the car. Many of those in their 20s and 30s have chosen to live in vibrant neighborhoods along bus, Metro and rail lines, even if it means sacrificing the suburban amenities of their childhoods. "They came of age in an environment of urbane media influences, watching 'Friends' and 'Seinfeld,' not 'Leave It to Beaver,' " said Shyam Kannan of the Bethesda-based real estate advisory firm RCLCO. "They watched their parents spend hours on the road, and they're not into that," Kannan added. "This is a group that is lifestyle conscious and time conscious, and they've decided they would rather be texting and tweeting from the Metro." The gains in public transportation, while small, are nevertheless significant in an area choked with traffic. "The good news is that it only takes a few percentage points to make a difference in easing some of the problems on our roadways," said Stewart Schwartz, executive director of the Coalition for Smarter Growth. Some say the census statistics actually understate the growing popularity of public transportation. They fail to account for people who carpool, ride Metro a couple times a week, or drive to a Park and Ride lot and take the bus the rest of the way. "We might have seen an even greater increase if not for the fact that Generation Y has been dramatically underemployed," he said. "The number of 30-year-old men living in the basement of their parents' home has kept them from using transit. When they find work and return to the workforce, the data suggest they will make the trade-off of a larger house for proximity to work, shopping and transit." 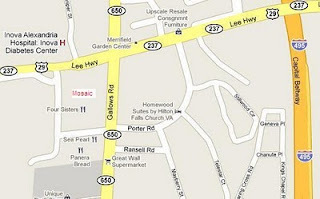 An 82-year-old Falls Church area man died Thursday of injuries he suffered last month when he was hit by a pickup truck while riding his bike in the Seven Corners area of Fairfax County, police said Friday. 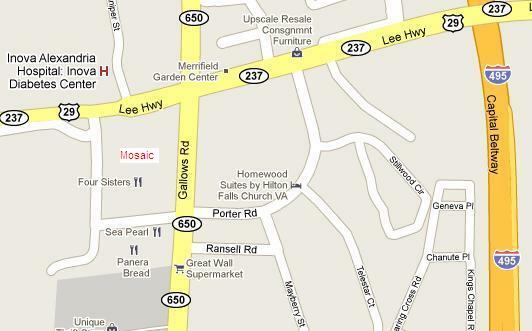 Police said Minh Van of the 3300 block of Nevius Street was trying to cross Willston Drive near Route 50 on Nov. 24. A man driving a 2003 Dodge pickup truck, turning from Willston Drive onto Route 50, struck Van. Van was hospitalized until his death, police said. Investigators do not believe speed or alcohol were involved, and no charges have been filed. We're trying to find out more information about the crashes. We need to find out why they happened and how to prevent them. We were saddened by the news that District Department of Transportation Director Gabe Klein was leaving. He's been the primary mover behind most of the bicycle infrastructure that's appeared in the District over the past 2 years. It's been surprising how quickly he's been able to build a network of bike facilities in the city, among his many other innovative transportation improvements. I think he'll wind up being remembered as a administrator who pushed the District toward the mainstream of urban transportation policy. There's nothing radical in the bike lanes program, or the streetcar program or the street-parking program, or the pedestrian safety program. What looked to us here like cutting-edge programs would seem like catch-up to people in other big cities. It just so happens that Fairfax County is looking for someone to lead their Transportation Department. VDOT currently controls most roads in Fairfax but the county is considering taking over their roads, and what better person to lead the way. 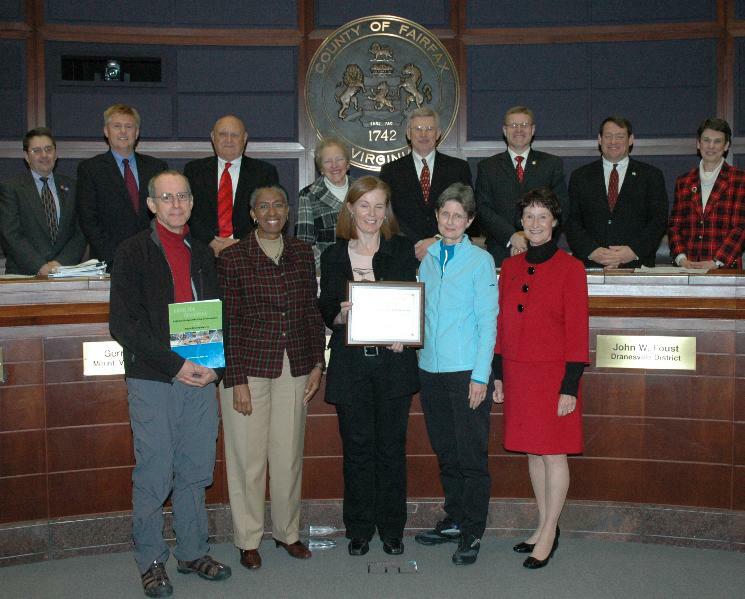 Fairfax County bike staff were among those who presented information at the recent open house on Tysons redevelopment. People had a chance to see draft routes maps that are being developed as part of the Tysons Bicycle Master Plan and discuss the future of cycling in Tysons and the county. Vienna Patch recently published the article First Phase Of County's Bicycle Master Plan Should Be Approved By February, Officials Say. 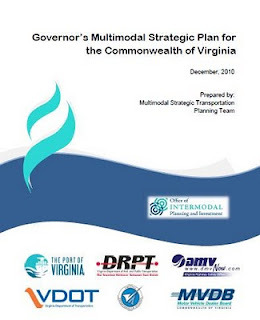 Vision for Multimodal Transportation in Virginia: Virginia will have a coordinated system of roads, rails, ports, transit, bicycle, pedestrian and aviation resources that provides integrated and efficient options that meet citizen, visitor and business transportation needs. These all sound good; I'm all for a safe, seamless multimodal system. To evaluate how well these goals are met there are a number of Measures of Success. The key measures for bicyclists are: 1. Number of Intermodal Facilities, 2. Number of Fatalities, Crashes and Injuries, and 3. Decreased Rate of Growth of VMT (vehicle miles traveled (by car)). There is little mention of bicycling and walking. It's inferred in the numerous mentions of "multimodal" but time will tell what that term really means. There is a statement about decreasing the rate of growth of VMT by increasing the use of public transportation, bicycles, and walking. Most of the examples used for illustration concern other modes. One of the detailed measures of success does state "Improve accessibility to modes and activity centers" but there is only passing reference to the need to coordinate land use and transportation decisions. FABB recently met with Hunter Mill District Supervisor Hudgins to ask her advice on how the county can provide better support for parents who want their kids to be able to safely walk and bike to school. 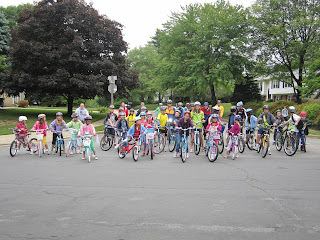 One option for the county is to participate in the Safe Routes to School Program. The program provides funds to schools to help encourage more kids to walk and bike to school and to help build sidewalks, trails, and bike lanes to allow them to do it safely. Of the $13,000,000 that has been available to Virginia schools, Fairfax County, with the largest school system in the state, has received $10,000. Supervisor Hudgins and Lee District Supervisor McKay have both been supportive in the past. They have discussed the issue at numerous Board meetings and jointly with the School Board. However, to date little has been done by the county to develop a SRTS grant application. The one successful SRTS program in the county is managed by a private organization, Trails for Youth, at Lynbrook Elementary School. At today's Board meeting Supervisors Hudgins and McKay directed staff to figure out how to do a better job of supporting this effort in the future. 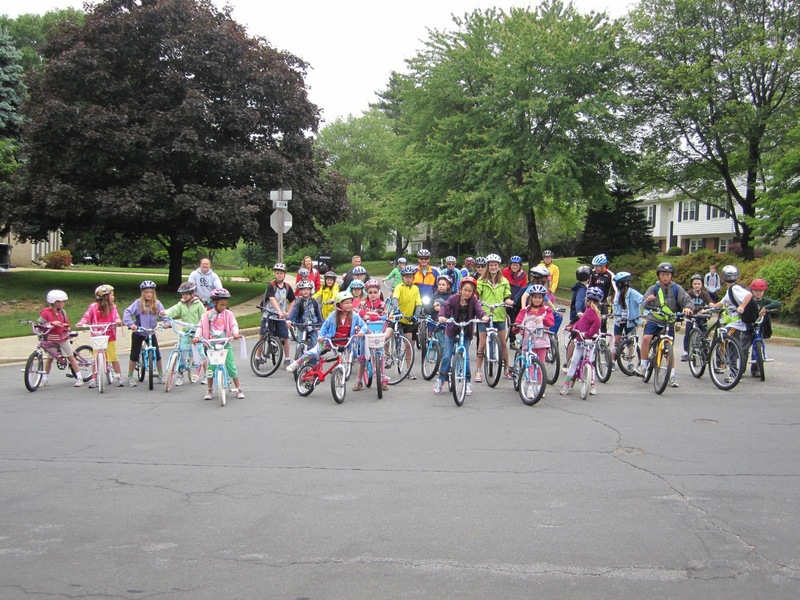 The County Executive was directed to "determine which county agency should coordinate the grant application for the Safe Routes to School program." The school system, Department of Transportation, Health Department, and Police all play a role in creating safe, healthy communities. Someone needs to take the lead. FABB's offer to give a presentation on Safe Routes to School to the Board's Transportation Committee was also noted. Gina Arlotto, the DC SRTS Network Organizer, has offered to give the presentation and we hope to schedule it in the near future. Finally, "a letter should be drafted to our School Board counterparts for a meeting to discuss future collaborative efforts between both boards in regards to transportation and sustainability." It's time for the county to support the many parents who want their kids to have the option of walking and biking to school. Kids need to know there are other ways of getting around than sitting in a car or bus; that they can get exercise and have fun while getting to school. We hope this is a major step forward. Certificate of Recognition presented to Fairfax Advocates for Better Bicycling for its consultation with the Virginia Department of Transportation and the Fairfax County Department of Transportation to develop, prepare, and promote the Guide for Reviewing Public Road Design and Bicycling Accommodations for Virginia Bicycling Advocates to outline ways bicycling enthusiasts can provide input into the process to design, approve, build, and retrofit roads to ensure accommodations for cylcists. Fionnuala Quinn, the primary author, Kerie Hitt, editor, and I accepted and Fionnuala said a few remarks. Thanks to Supervisor Hudgins and the Board for this honor. Update: Here's the photo from the presentation ceremony. We rode to the Government Center, Kerie and I on our recumbent tandem, Fionnuala on her hybrid. Despite the cold we managed to arrive in street clothes and looked halfway presentable. You can't see the heavy duty tights I'm wearing or the neoprene socks under my sandals. It was a great ride on a sunny, cold day. For ten years, the bike unit has patrolled the Hyba Valley area on two wheels instead of four. The program started as a community policing arm known as the neighborhood patrol unit. Bike officers are usually at the beginning of their career and are "more aggressive" than car patrol officers, Wall said. Normally, they don't respond to calls for robberies or car accidents, he said. Instead, they gather intelligence, interview residents and patrol neighborhoods. "The guys do it more for the freedom of it," Watts said. The bike officers know the lay of the land, including every pedestrian short cut and escape route. They are able navigate areas cars can't. And, they're quiet. They can sneak up on a criminal who may be unaware of their presence. The unit comprises eight officers and Watts, their supervisor. They all work the same shift, breaking into pairs to patrol different areas. When a call is made, they congregate at the scene. They behave like a bike band of brothers - simultaneously supporting and ribbing each other. But, there are shortfalls to the job. The bike officers are more vulnerable than car patrol officers and can only work up to a speed of around eight miles per hour, which makes it nearly impossible to stop a car. On the flip side, they are able to spend more time outside, they get great exercise and they gain a different perspective on police work, Wall said. They also have the time to dig into the community's long-term problems, such as trespassing and homelessness, said Captain David Moyer. Fairfax Advocates for Better Bicycling (FABB) placed a 'ghost bike' memorial at the corner of Fort Hunt and Belle Haven Roads in memory of Chris Benton. Chris died November 22 from injuries suffered when he collided with a car on November 14. See an earlier FABB post for more information about Chris. FABB is releasing the attached media statement. FABB was very saddened to learn that Christopher Benton died on November 22 as the result of a collision with a motorist at Fort Hunt and Belle Haven Roads. The crash occurred on November 14. A ghost bike has now been placed at the site of the crash. 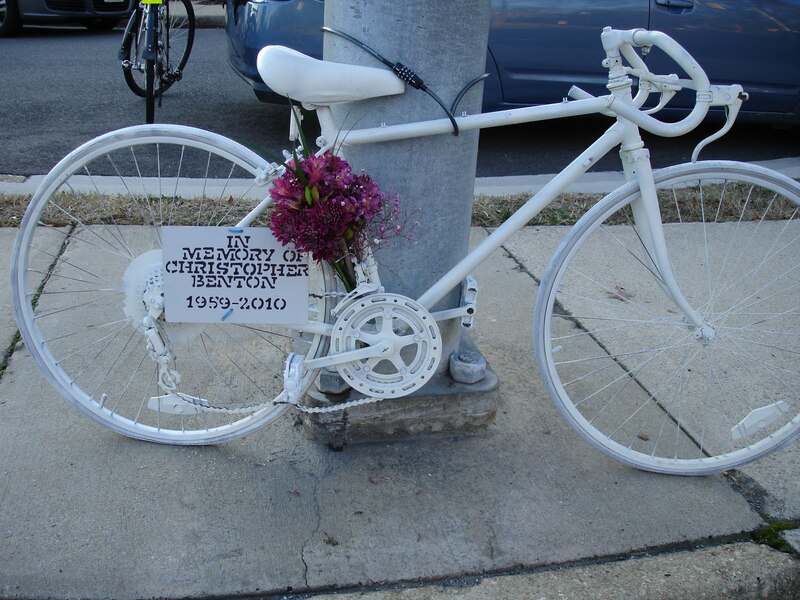 A ghost bike is a white bicycle set up as a roadside memorial in a place where a cyclist has been killed. Besides acting as a memorial to Christopher, it is intended as a reminder to passing motorists to share the road. Christopher was an avid cyclist who discovered bicycle touring in 1993. From 1994 to 1999 he toured throughout the U.S. and Canada. In 2001 he started cycling to work four to five days a week, twenty-six miles round trip. Christopher also used his bicycle for transportation on short trips around his neighborhood. The type of crash in which Christopher was killed, where a motorist turns left in front of an oncoming cyclist, is a very common cause of bicyclist/motorist crash. Motorists may not be looking for a bicyclist, may underestimate the speed of the oncoming bicyclist, or may ignore that the bicyclist has the right-of-way and assume the cyclist will stop. Cyclists need to be aware that this type of crash is common and always proceed with caution through intersections. Motorists when turning should yield to bicyclists. They should approach and pass bicyclists at a reasonable speed, allowing at least two feet when passing. Cyclists should wear bright clothing to increase visibility and always use lights when riding at night. They should ride 2-3 feet from the edge of the road in a visible position. If there are parked cars, they should ride 4-5 feet from cars to avoid being hit by a door that could open suddenly. If the lane is too narrow to share (less than 14 feet), cyclists should take the lane, riding in the center or just to the right of center of the lane. In all states in the U.S. cyclists have the same rights and responsibilities as motorists when using the road. 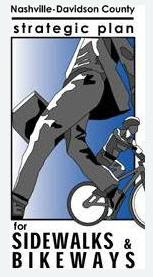 Motorists need to be aware that cyclists often travel at speeds in excess of 20 mph, especially when traveling downhill. We must all share the road. 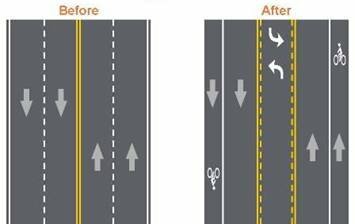 FABB continues its ongoing work to improve safety for all bicyclists in the county through our work on infrastructure design and road user education. 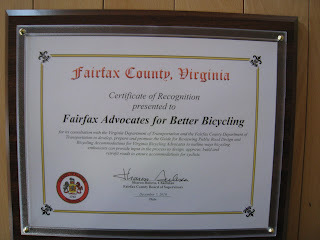 For more information, contact Bruce Wright, chairman [at] fabb-bikes.org, 703-328-9619. Visit us on the web at www.fabb-bikes.org. On Monday evening, December 6, Fairfax County is sponsoring an open house on Tysons redevelopment. Developers will be present to discuss plans for new developments around the Metro stations. This is a good opportunity to ask about bicycle accommodations. Will they provide adequate bicycle parking? Will bicycle access be safe and convenient? Staff from the county bicycle program will also be present to discuss the Tysons Bicycle Master Plan process that is nearing completion. View and comment on maps of proposed new bike facility facilities. You can also ask about the new bicycle parking requirements that are under development. 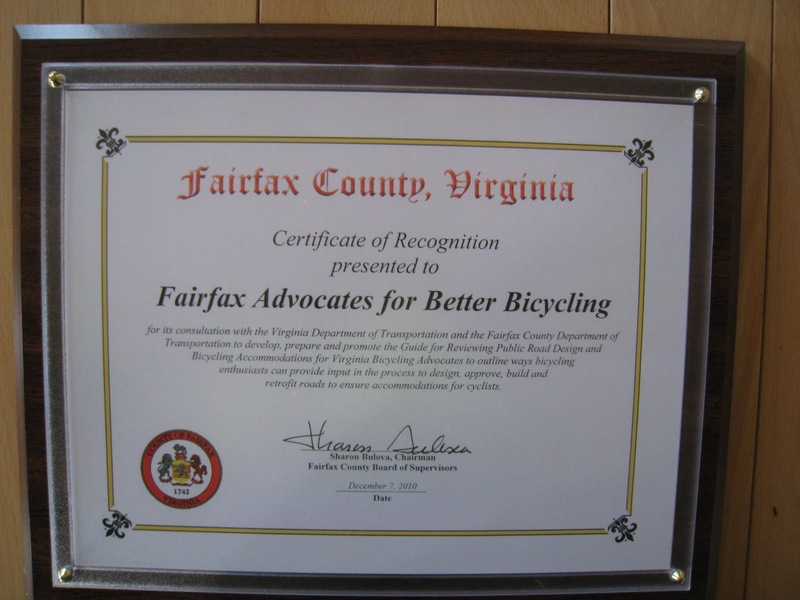 CERTIFICATE - To recognize the members of Fairfax Advocates for Better Bicycling for preparing the Guide for Reviewing Public Road Design and Bicycling Accommodations for Virginia Bicycling Advocates. Requested by Supervisor Hudgins. Thanks to the Board for this honor. Fionnuala Quinn, primary author of the guide, will thank the Board and say a few remarks. The meeting is broadcast live. The crew doing the paving on the W&OD Trail are making good progress. There is new asphalt from the Newton Square entrance all the way to the Dulles Toll Road bridge. Cyclists need to ride carefully on the detour on the unpaved sidepath; it's pretty rough and soft in parts. At this rate the paving should be completed soon. WMATA recently completed a study of how to improve bicycle and pedestrian access to Metro stations. The study is now available online at PlanItMetro.com. As Metro plans for the future, expecting ridership to increase from a current average of about 750,000 trips per day to more than 1 million, the question of how so many new passengers will access our system is a critical one. Our most recent passenger survey estimates that about 39% of our riders arrive by car – either parking or being dropped off; 33% walk to our system; 22% take a bus; 4% by commuter rail and <1% arrive on bike. Accommodating those new riders with the same modal split as we see today could be quite costly for the region. Therefore, Metro decided to take a look at where we could improve our mode share for those modes that require fewer financial resources – namely bicycling and walking. In 2009, we began a study that would provide a framework to help us achieve these higher shares. Perhaps the most interesting recommendation is for Metro to adopt a bicycle mode share goal through which we can measure our progress as we implement these recommendations. The recommendation is to triple the current bike share from .7% (about 1600 riders per day) to 2.1% by 2020 and quintuple it by 2030 – which equates to about 12,000 riders per day. In January we will discuss these goals with the Metro Board. I just noticed there is now an option in Google Maps to show the bicycle layer. This was possible when using the bicycle directions but it's the first I've seen it as a map option. The Google Maps interface was changed recently and besides bicycle routes (mostly trails), up-to-date traffic conditions can also be shown. 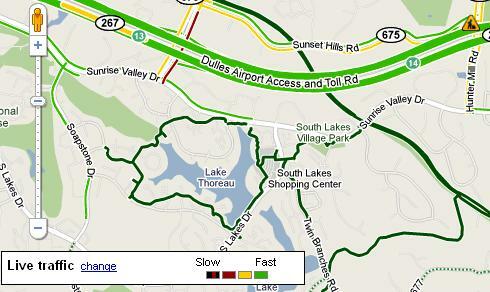 In the image on the right trails are shown in dark green, and traffic conditions are shown in red/yellow/light green. Too bad traffic conditions on the trails aren't show as well. Construction alerts are also shown. During the planning for the future of Tysons one of the main concerns was for the new grid of streets to be designed as urban streets not wide suburban streets that are not pedestrian-friendly. Wider streets also encourage faster traffic, a constant problem in many neighborhoods. VDOT is now allowing narrower, context-sensitive streets in neighborhoods with low traffic volume. 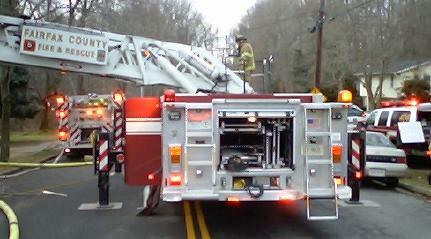 As county staff were responding to the VDOT proposal for narrower streets, County Fire and Rescue officials objected. They are concerned that many neighborhoods don't enforce fire lane restrictions and their large fire trucks may not be able to reach burning houses located on narrow streets. This is known as "design by fire truck." Fire departments have yet to acknowledge that fire safety is but a small part of a much larger picture that others refer to as life safety. The biggest threat to life safety is not fires but car accidents, by a tremendous margin. "flies in the face of urban design standards." Noting the county has been asking VDOT for years to take the context of streets into consideration, Smyth said she does not want the county to then go with a wider standard. "I'm concerned about a mixed message to VDOT," she said. While cyclists usually prefer extra pavement for bike lanes or wide curb lanes, these are not necessary in most neighborhood streets. There are many design solutions to allow fire trucks into neighborhoods with narrow streets; it takes some extra effort but it can be done. We urge the county to adopt the proposed VDOT street widths to allow for the design of liveable neighborhoods. We'll post information about the public hearing to be held by the Board of Supervisors on the proposal. Next week there will be an important opportunity for you to support two bicycle resolutions that will be on the Board of Supervisors meeting agenda. Supervisor Andrea McGimsey, who has been a tireless advocate for better bicycle facilities in our county, is introducing the two items for consideration at the Dec. 7 Supervisors' meeting. The Public comment session occurs on the night before the meeting. Action Item 7: Because federal funds directed specifically to bicycle and pedestrian projects will likely become available, the item directs the County Transportation staff to identify and prioritize a list of bicycle and pedestrian projects which can be made "shovel-ready." Jurisdictions who have a list of projects that can be initiated quickly will be more likely to receive these funds. Action Item 8: This is a proposed plan for bike and pedestrian connectivity surrounding County metro stations. Access to the planned Loudoun metro stations on Routes 606 and 772 remains largely confined to vehicular access. Expanding bicycle and pedestrian facilities between and around metro stations will help decrease reliance on automobiles and further metro's benefits to the area along the Dulles corridor and beyond. It is crucial that we have as many bicycle advocates as possible come to the public input session on Monday, Dec. 6, the night before the BOS meeting. The public session will be held at 7 p.m. in the Board Chamber, First Floor, at the County Government Building, 1 Harrison St., Leesburg. You can sign up to speak in advance by calling 703-771-5072 or 703-777-0200. Calls will be accepted until noon on Dec. 6. Otherwise, you can sign up in the meeting room before the public session starts. Speakers are usually allowed only two to three minutes to comment. There will be no questions asked of you. So you see, your message need not be long--just express support for the bicycling items. If you wish, you can add your own personal comments about biking. It would be very impressive if we could have the room filled with bicyclists in their cycling jerseys. We need to show the Board of Supervisors that bicycle accommodations and on-road bike facilities are important to us. Unless we actively support bicycling, the County may not approve these and other future bicycle plans. Thanks for coming out to this important meeting. "Advocating for Better Bicycling in Loudoun County"
Located within a short distance of the Dunn Loring Metro station, Mosaic is a new mixed-use development under construction near the intersection of Gallows Rd and Lee Hwy (Rts 29/237) that will be part of a revitalized Merrifield area. This is the site of a multiplex theater complex across from Home Depot. Last year FABB met with the project developer to encourage adequate bike access, long and short term bike parking, changing and shower facilities, and bike sharing. The project was recently awarded Silver LEED status. Bike parking, and changing and shower facilities are part of LEED certification. Below is a summary of the LEED 2009 bicycle requirements, which count for 1 point in the rating process. Provide shower and changing facilities in the building, or within 200 yards of a building entrance, for 0.5% of full time equivalent (FTE) occupants. Provide covered storage facilities for securing bicycles for 15% or more of building occupants. Provide secure bicycle racks and/or storage within 200 yards of a building entrance for 5% or more of all building staff and students above grade 3 level (measured at peak periods). Provide shower and changing facilities in the building, or within 200 yards of a building entrance, for 0.5% of full time equivalent (FTE) staff. Provide dedicated bike lanes that extend at least to the end of the school property in 2 or more directions with no barriers (e.g., fences) on school property. These requirements are a start. Having bike parking within 200 yards of the building is insufficient. As with the Arlington Co bike parking requirements, more detail is needed to guide developers in selecting the type and location of the parking, which should be located much closer than 200 yards from the building. Now that Andy Clarke of the League of American Bicyclists is on one of the LEED advisory committees, these requirements should improve over time. Christopher Benton died November 223 from injuries suffered in a collision with a motorist on Sunday November 14 at the intersection of Fort Hunt Road and Belle Haven Road. 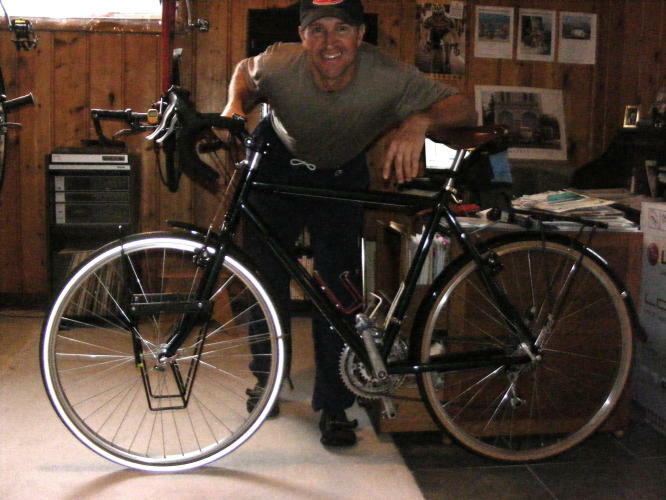 Christopher was an experienced touring cyclist and bike commuter. The crash is still under investigation. If you have information about the crash, contact police. You can read Christopher's profile at crazyguyonabike.com and his report of a trip on the C&O Canal in 2008. From TheWashCycle. Eve DeCoursey, former WABA employee and friend of FABB, passed away on November 24. She had ovarian cancer. We first met Eve at a WABA Gala. 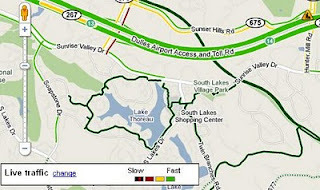 She had been in touch with us to write an article about Fairfax County for WABA's newsletter Ride On, which she edited.When we responded with text for the upcoming newsletter she gushed about how great the article was and how we did such a good job. That was Eve, always cheerful and encouraging of the efforts of others. Even though we didn't know Eve for very long we felt like we knew her well and we considered her a good friend. When FABB applied for our first grant to purchase bike lights, she edited our application and gave us good advice that we use to this day. It was only recently that we learned about her past accomplishments as an athlete, coach, and bike advocate. Read the WABA tribute to her, Celebrating the life of Eve DeCoursey, to learn more about her incredible life. Goodbye Eve, we miss you. Average speed dropped by about 1 mph, from roughly 45 to 44 mph, but there was a more notable change in the fastest speeds. Before the road diet, 13% of vehicles were recorded at 50 mph or above. After, only 1% of vehicles were recorded at or over 50 mph. These speed results led VDOT to reduce the speed limit on Lawyers from 45 mph to 40 mph. In the four years prior to the road diet, Lawyers averaged 15 crashes per year. In the first year after the road diet, we observed only 3 crashes in the same segment of Lawyers, for an 80 percent drop. It is too early to make any firm conclusions about the safety results, but the initial trend is very encouraging. In response to the reduction in operating speeds, VDOT reduced the speed limit from 45 mph to 40 mph in March 2010. A total of 851 responses to the survey were collected. Of these responses, 67 included only answers to the first two demographic questions; these responses were discarded, leaving 784 valid responses. 69 percent of respondents said Lawyers seems safer after the road diet was implemented, compared with 15 percent who felt that it seems less safe. 47 percent of respondents bicycled on Lawyers more often than before, indicating that the road diet encourages cycling as a travel mode. 69 percent of respondents said auto travel times have not increased, even though 59 percent said speeds dropped. 74 percent of respondents agreed that the project improved Lawyers Road. 71 percent of respondents agreed that other road diets should be considered in Northern Virginia. Last night the Vienna Transportation Safety Commission held a public hearing on proposed bike lanes on Courthouse Road from Maple Ave to Nottoway Park. The majority of speakers were in favor of the proposal. A few spoke out against the facility, citing concerns about placing the bike lanes adjacent to parked cars. Some made the illogical argument that encouraging cyclists on the road would make traffic worse. To address the concern about parking on the road it was suggested that shared lane markings (sometimes referred to as "sharrows") be used where parking is allowed to avoid striping bike lanes in the door zone. The committee recommended approval of the bike lane proposal with the suggestion that shared lane markings be used where on-street parking is allowed. The vote was unanimous. The recommendation will be sent to the Vienna Town Council for their consideration. Once the public hearing date is announced we'll post the information. It's important that cyclists continue to support the facility; we can assume there will be a few vocal opponents who will speak out against the proposal. See the Transportation Safety Commission website and the Vienna Bicycle Advisory Committee (BAC) website. To subscribe to the BAC email updates send a request to bac@viennava.gov.